ACMS is proud to present their sixth grade students of the month. Congratulations to these hard working students who are also great citizens in the classroom. 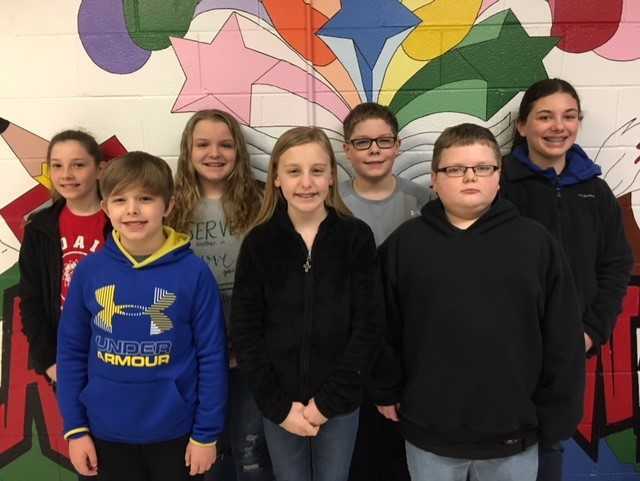 From left to right: Hope Wall-Social Studies, Trenton Page-Science, Sarai Collins-Math, Madison Harlan-Math, Luke Rich-Science, Camden Harvey-Social Studies and Abby Claywell-Reading. Not Pictured: Connor Lynn for Reading.